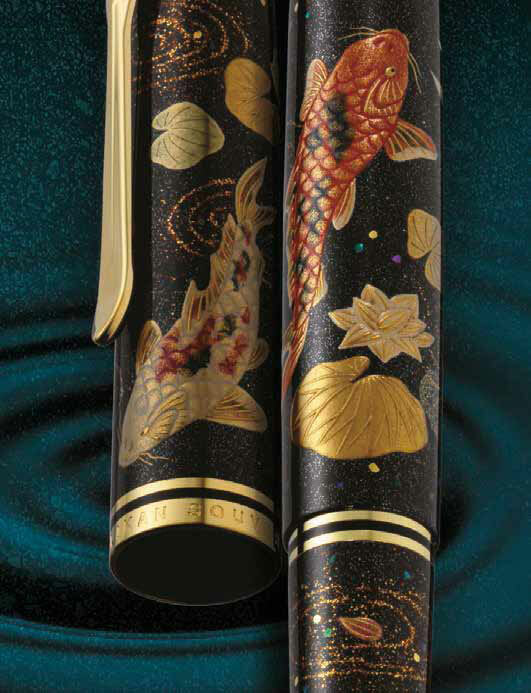 It is an honor to present the New Pelikan Maki-e Koi Fountain Pen, an addition to the fantastic collection of Maki-eS! 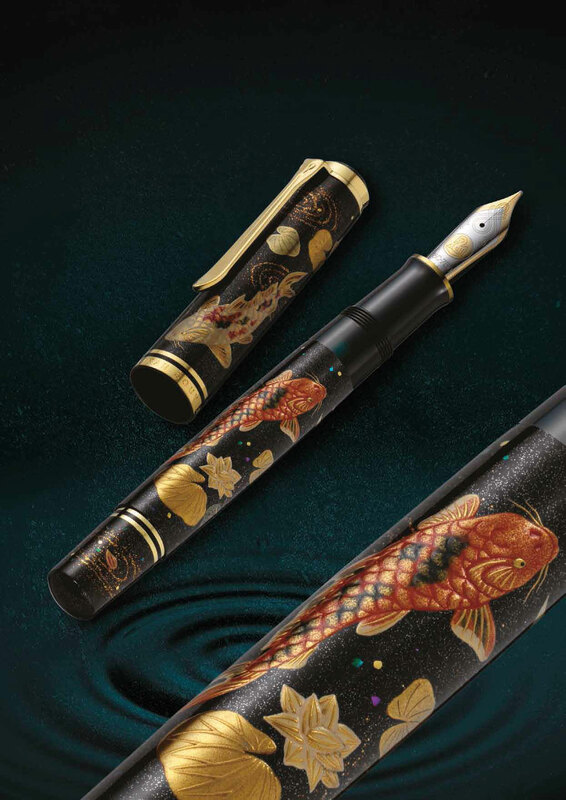 A gorgeous Fountain Pen that honors the story of the Koi Fish, which swam decisively counter-current and became a strong dragon. That’s why these fish are a symbol for endurance, strength, and the determination to reach your goal. This time, Pelikan chose the elaborate Kaga Togidashi-Taka-Maki-e technique. The magnificent Koi Fountain Pen will be available next May.